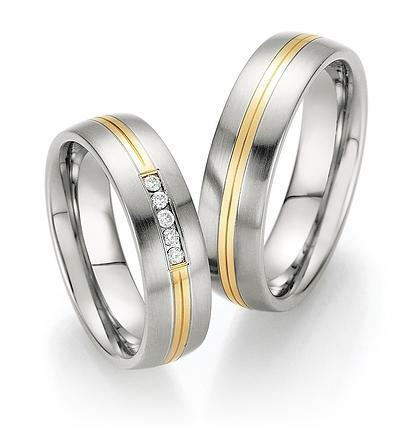 Here we provide you with a great love for art fantastic partner stainless steel rings gold at from the series Whitesttyle and Gold Sensation on. 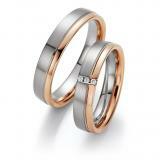 The rings are available in sizes 45-75 and including engraving. Manufacture Nowotny - Austria. Partner rings satin finish stainless steel in combination with 585 yellow gold and polished. 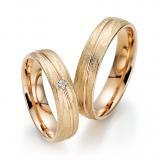 5 diamonds 0.075 ct. W / SI. Width 6.00 mm.